Learning how to make money blogging is something a lot of wannabe bloggers do before they’ve even learned how to start a blog. This isn’t all that surprising. They’re simply curious about a few things, one of which being whether or not blogging, something that takes time to do, is a profitable business model. Another thing new and wannabe bloggers are curious about is how they should go about making money with their blogs. That’s the focus of this post. We’re going to start by discussing the various components your blog will need before you can start monetizing it. It’s best to make sure your blog has these components in place before you do try to monetize it. After that, we’ll go through a list of eight different ways you can make money blogging and list a few honorable mentions at the end. Let’s get into it. If blogging for money were as easy as publishing a few thin posts a month with affiliate links and advertisements interspersed within them, everyone would be doing it. You wouldn’t be here researching tips on how to make money with a blog. Unfortunately, as you’ve probably learned, it’s not that simple. 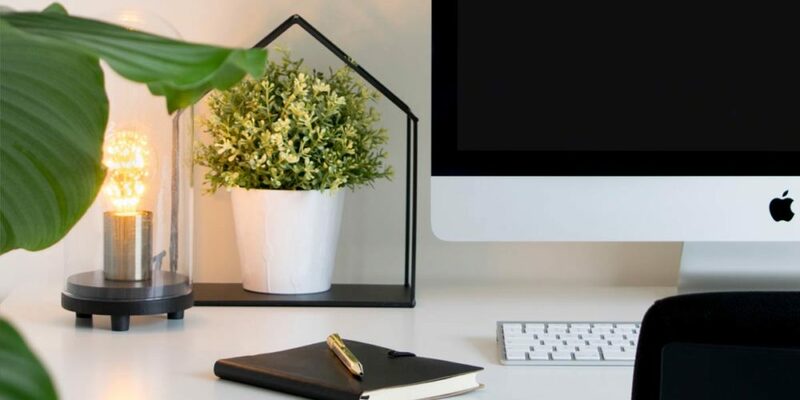 You may see some of the world’s most successful blogs making use of affiliate marketing, offering their own products or even publishing sponsored posts, but there’s a lot more going on beneath the hood. We’re going to talk about the specific components your blog should have to earn a profit in a second, but you should know that it mainly boils down to value. These blogs aren’t just providing content or offering “cool” products—they’re providing solutions. Your blog needs to do the same. Whether it’s a new blog post you plan on publishing, an affiliate product you want to endorse or a product of your own you’re about to launch, it needs to provide a solution to a specific problem your reader is having. Let’s talk about what else you need. What Components Do You Need to Make Money Blogging? A strong content marketing strategy. Website – Like I said, this one seems somewhat obvious, but it may actually be more complicated than you think. For example, many first-time bloggers create free blogs with blogging platforms like WordPress.com and Blogger only to discover how limiting these platforms can be and how difficult they are to monetize. You’re better off starting a blog by registering a domain name with a dedicated domain registrar, signing up for a hosting plan and installing WordPress (.org, not .com) on your server. When it comes to WordPress themes, pick one that has a business homepage but plenty of blogging features. We recommend SiteGround for new blogs. Read our SiteGround review here. We also offer plenty of blogging and blogging-capable themes here at ThemeTrust. Problems to Solve – Unless your blog is purely meant to be some form of entertainment, such as a comedy blog, your main goal should be to solve problems. The problems your audience is having, to be specific. Almost every product ever is bought for the same reason—to solve a problem. If you want readers to use your affiliate links or buy your own products, your blog needs to the same. The most effective way to find out what problems your audience is having is asking them directly, but you can also look through forums related to your niche, browse Quora, look through poor reviews of books related to your niche, join Facebook Groups and more. Content Marketing Strategy – Once you know what your audience’s pain points are, you can start planning out ways to solve them by developing a content marketing strategy for your blog. Be sure to read through our guide on how to create a content marketing strategy. Once you have one in place, you can start integrating some of the money making methods mentioned below with your content. Email List – Most readers (and customers) aren’t going to buy your affiliate products or actual products right away. Some are going to need a little more encouragement and time before taking the plunge. That’s where your email list comes into play. It’ll allow you to nurture your reader by establishing trust and providing value before asking them to buy. Be sure to read our guide on how to create an email marketing strategy as well. Let’s get into the methods you can use to make money blogging so you can see what blogging for money is all about. This is the simplest way to go about blogging for money. You probably use a lot of products in your niche, or at a least a few. You’ll also probably mention these products throughout your blog. Affiliate marketing allows you to earn commissions for recommending products whenever a reader clicks on one of your affiliate links and uses it to make a purchase. This is made even better by the fact that the company you’re affiliate with pays you a commission at no additional cost to your reader. Some of the world’s top bloggers, such as Pat Flynn, earn five figures every month with affiliate marketing alone. Sponsorships are similar to affiliate marketing in that you’ll use them to recommend products to your audience while earning money for doing so. The only difference is how you’ll be earning money. Most companies offer an automated affiliate program and flat commission rates so you’ll rarely need to actually negotiate with them directly. With affiliate marketing, you don’t earn money unless someone purchases something using one of your links. Sponsorships, on the other hand, require direct contact and negotiating with the company who makes the product you want to promote. You’re paid a flat fee for promoting a product regardless if anyone actually buys it. The revenue you’ll earn can be much higher than the revenue you’ll earn from affiliate marketing, however. Sponsorship deals for blogs can range from a few hundred to a few thousand dollars depending on the type of promotion offered and the influence you have. You may have heard the phrase a “a blog is not a business.” You may also know about the dangers of putting all of your eggs in one basket. You can earn a living and even hire employees/contractors with affiliate marketing and sponsorship deals alone, but the best way to create a self-sustaining business is to launch your own product and use your blog to promote it and attract potential customers. An online course is one of the best products bloggers can create. This is due to how straightforward it can be to encourage your readers, who are used to learning and solving their problems using the content in your blog, to purchase a product that’ll help them solve those problems even more. In many ways, courses are simply extensions of your blog, allowing you to expand on topics you’ve written about endlessly. What’s more, you can earn five figures (and even six) a year with one course alone. How you go about creating and hosting a course is dependent on your needs and budget. 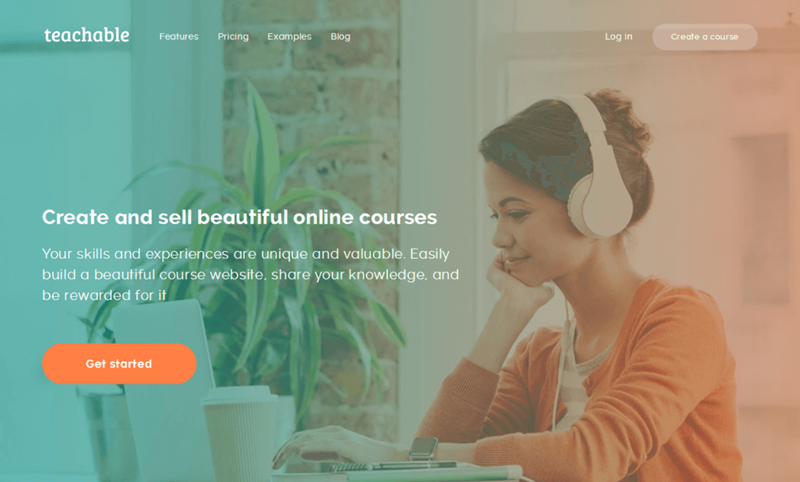 It’s best to host it yourself using a learning management system (LMS) plugin, such as LearnPress or WPLMS, or use a third-party platform, such as Teachable. Some topics don’t require images or videos in order for you to demonstrate how to do them or provide value, in which case, you may want to publish ebooks about them instead. An ebook is another extension of your blog, one that’s a lot more familiar to your audience than a course may be due to the fact that they’re both written pieces of work. You can write and edit the book yourself or hire an editor, and distribute it yourself with tools like Gumroad and Easy Digital Downloads. Online courses and ebooks are classic products most bloggers create as they’re versatile, highly related to blogging and able to be used by virtually any niche. However, you may want to consider creating a product more relevant to your niche. It’ll likely take more time and effort (and maybe even money), but the payoff may be greater. Similar to courses and ebooks, you’ll use your blog to promote these types of products. What types of products am I referring to? Anything, really. A fishing blog, for instance, may release their own line of flies for fly fishing. A fitness blog may launch an app that allows users to track their workouts and macros. A gardening blog may publish their own gardening journal their readers can use to plan and track their crops’ progress. The examples can go on and on. Your blog, courses and ebooks all serve one purpose—to teach. However, some of your readers won’t have the time, patience or confidence to learn things on their own. That’s where consultations come in handy. They allow you to have one-on-one discussions with members of your audience while earning additional revenue for your blog. If you have a high level of engagement among your readers, you may want to consider turning your blog into a membership site. The primary benefit of a membership site is its ability to provide a predictable amount of monthly/annually recurring revenue for your business. It can also be a way to attract readers who didn’t buy your course due to cost constraints. As for content, you can add virtually anything you want to your membership packages. For example, instead of charging readers on a per-course basis, you can offer different membership tiers and offer access to a certain number of courses per tier. You can also add exclusive content, such as ebooks and podcasts, a members’ forum, webinars/livestreams, and more. This is similar to a membership site, except the only feature you’ll be adding with this method is access to a private forum. There are many reasons why you may want to charge for access to your forum, but they mainly boil down to Internet trolls and your time. Many sites have seen decreases in the amount of spam and “troll comments” they receive after charging, even as little as $1/month, for forum access. Plus, running a forum takes time, and you can reduce your workload while providing incentive to yourself by charging access to it. Add a job board to your site. Add a dropshipping store to your site. Add an Amazon affiliate store to your site. Accept donations from your readers. Add advertisements to your site. Deciding on which method to use first and which ones to use at all doesn’t need to be complicated. The easiest way for new blogs to earn revenue is affiliate marketing, which you can implement by writing reviews and tutorials for affiliate products, including affiliate links in your posts, creating a Resources page and adding an Amazon affiliate store to your site. Just make sure you focus on providing value. Speaking of providing value, if you can’t decide which product to create first, start by finding a problem to tackle. This will help you decide which type of product would solve a particular problem more efficiently than another.